Marshmallow pillows are easy for kids to make and you can be sure they won’t get lost because they won’t leave the childs’ side! This marshmallow pillow is another pattern designed by one of my granddaughters (remember her first pattern, the Narwhal Stuffed toy pattern). She is on a roll making patterns for an item, then sewing the item – I can’t wait to see what she comes up with next! 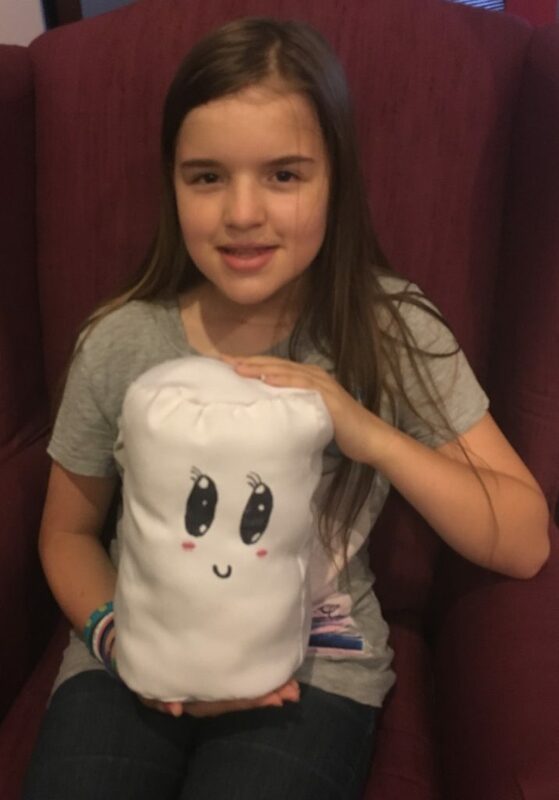 We’re going to give you all the instructions on how to make this marshmallow pillow project, so feel free to print the page and plan some “crafting” time with a child you know. **Measure the distance around the plate (or measure the circle after it’s drawn). Ours is 23″. **Next, cut the “body” of the pillow – the measurement will be 23 1/2″ by 11″ long (you need ONE of these). **With right sides together, pin the length portion (11″) and sew a 1/2″ seam along the 11″ length. You now have a cylinder shaped piece of fabric (marshmallow body). **With RIGHT sides together, pin the top circle of the marshmallow to the cylinder body. Sew a 1/2″ seam to attach the top to the body. **Again, with RIGHT sides together, pin the bottom of the marshmallow to the cylinder body, leaving approximately 3″ open. Sew a 1/2″ seam all around, leaving the 3″ open area unsewn. **Turn the marshmallow right side out. Stuff marshmallow with polyester fiberfill, then pin the open area closed and hand stitch. **You can draw the face features with permanent markers, or just leave the marshmallow pillow looking like a marshmallow. 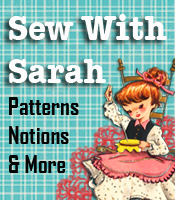 Check out the other patterns at SewWithSarah – there are many to choose from!